Using a proprietary algorithm, the BioRing smart ring with three built-in sensors tracks your fitness, stress, nutrition, sleep and more, and ultra compact design adds minimal fashion to match your sense of style. 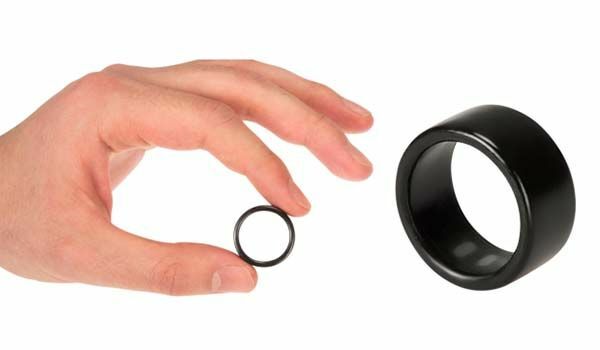 The BioRing is an advanced, ring-style fitness tracker that comes in 6-13 sizes to fit different wearers. As we can see from the images, the smart ring shows off a minimalistic and low-profile appearance along with three colors including white, black and silver. The black and white BioRings are made from scratch proof ceramic zirconium without metals inside, which brings a natural and comfortable wearing experience, and the limited edition BioRing is made of sterling silver for a more fashionable and premium look. As a fitness tracker, the BioRing comes equipped with three sensors including 3-axis accelerometer, bio-impedance, and optical heart rate sensor. 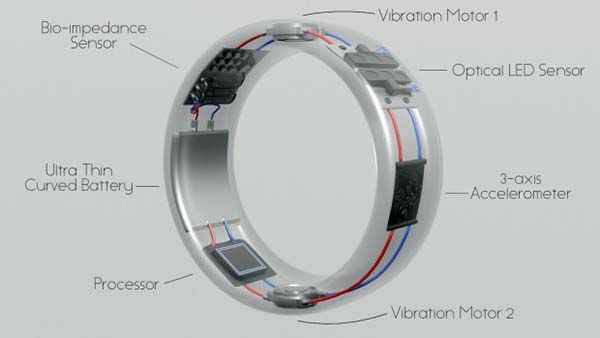 Using built-in Bluetooth technology, the smart ring sends tracking data to your smartphone, while its unique algorithm calculates numerous data about your wellness including activity intensity, distance and steps, heart rate, heart health, sleep level, stress level, water level, calories, carbs and fat burn, as well as calories, carbs, fat and protein intake. Furthermore, based on your tracking data, the app delivers personalized and actionable recommendations in order to help you improve your lifestyle and health. In addition, its built-in rechargeable battery lasts up to one week between charges. 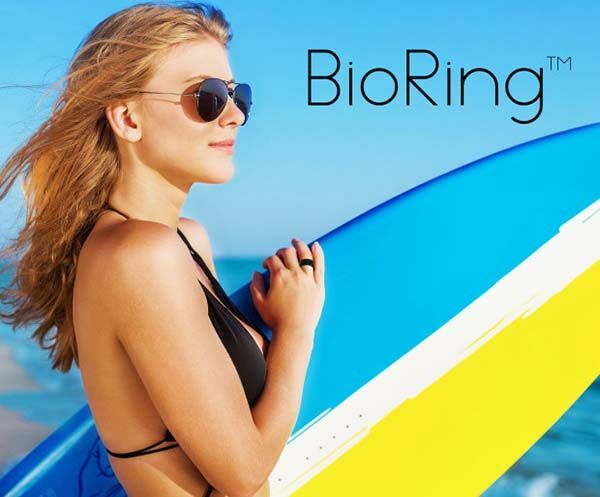 The BioRing has been available for preorder via Indiegogo. Pledging $219 lets you own the smart ring ($299 for its sterling silver model). It will be shipped in November this year. BTW, also don’t miss the smart ring with panic button and more related cool stuff by following tags.